Amid all the controversy surrounding the changes Netflix has undertaken, what will matter most in the long run is content. This is always the case. Supply and demand. Blu-ray Disc didn’t just beat HD DVD in the war of ages because it’s a better format, but because the studios backing the format held the vast majority of content available, including 9 out of 10 summer blockbuster movies newly released amidst the format war. 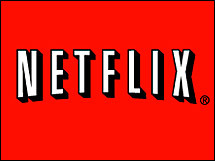 Now streaming is the new media war front, and Netflix took the early lead but is stumbling. The streaming war isn’t a zero sum game because Amazon and iTunes can coexist without forcing consumers to own two set top boxes or chose between the two, but this is where much of the competition has taken place over the past few years. There are two fronts in this war: content and subscribers. Content attracts subscribers, and subscribers attract content. This is the rule, and it plays out slowly. Investment in content can produce subscribers, as Hulu has done. And subscribers can seduce content, as YouTube has done. It is in this environment that the Netflix team finds themselves. It’s hasn’t been great for them this year. They’re losing subscribers, and they’ll soon be losing content. They’re so much the leader in video streaming that manufacturers have “Netflix” buttons on their remotes; even Sony does, and they have a competing service of their own. Netflix wants your business back.